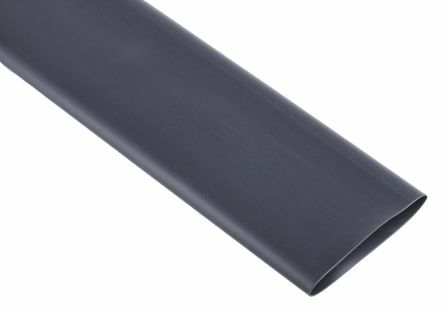 Heat shrink tubing is a type of extruded plastic tube that reduces in size when heated to a pre-determined shrink ratio to fit a specific application. A sleeve should be selected in a size larger than required to cover both the wire and components it is to be used with, before being shrunk to fit. Once fitted, the sleeve provides long lasting durability. Heat shrink is available in various different materials, colours, sizes and shrink ratios to suit the application required. Some are available with an adhesive lining that helps to bond the tubing with the cables and components. Polyolefin is the most common material as it is highly durable and can withstand high temperatures without a restricted shelf life. 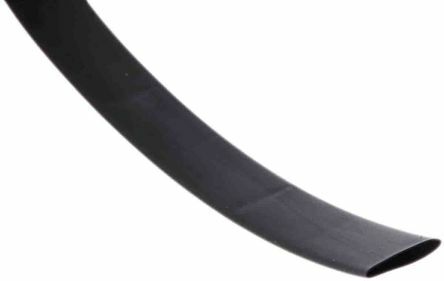 They are also manufactured from PVC, fluoropolymer, neoprene and elastomeric materials. The material is often cross linked to assist with the tubing shrinking back to its original dimensions. The pre-determined shrink ratio, for example, 2:1 or 3:1, is the measurement of how small the sleeve goes in comparison to its expanded size. When the number is higher in the shrink ratio the greater the shrinkage. It allows a precise, secure fit that does not come off easily. When selecting the right size tubing, you should consider the maximum and minimum diameter of what you are covering. Use this information to check against the recovered diameter (the diameter after shrinking) and expanded diameter (the pre-shrinkage diameter) of the sleeve. You can cut most tubing to a suitable length using standard scissors. The unshrunk tubing can be slid over the area or objects it is to cover. Then with a hand held heat gun or heat shrink oven, the sleeve is shrunk tightly. To prevent uneven shrinkage or overheating, check the recommended heating temperature beforehand.